If you are one of the many fans of Mark Bittman bestseller How To Cook Everything then get ready to expand your horizons and take a culinary trip of a lifetime with The Best Recipes In the World. Not a writer to shy away from bold claims, Bittman once again delivers a book that lives up to it’s all-encompassing title. 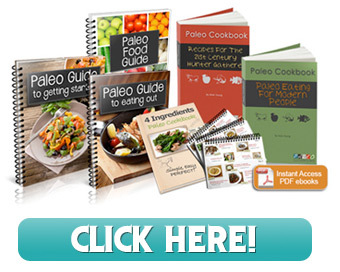 For those cooks wanting to peruse new cuisines this is an indispensable guide with one trustworthy voice guiding us through 44 countries and over 1000 recipes. 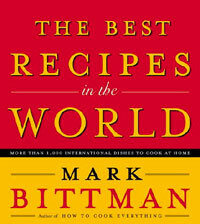 In fact, there is such a dearth of recipes in this tome that Bittman includes an alphabetical recipe guide indicating which dish can be made ahead in 30 min. or less as well, recipes are indexed by cuisine in addition to alphabetical. Menu suggestions too are listed by both cuisine and theme. Good rules to live and cook by we think and true to his mantra you will find here a collection of recipes that while remaining true to their origins are made more accessible to the home cook of average skill.